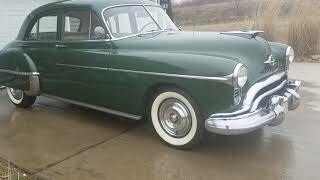 Hi, I am interested in your 1950 Oldsmobile 88 Coupe listed on Autotrader for $20,000. I'd like to get more information about this vehicle and confirm its availability. Would trade for: boat, motorcycle, newer mustang or Corvette. Motorcycle, dry bike, ATV, or jet ski(s). All four brake cylinders were replaced in 2016. Car starts and runs very well. Does not smoke. Good to Great condition. Needs some work on blinkers and fuel gauge.